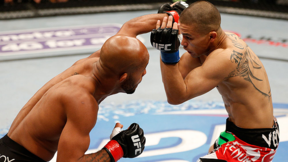 With the first title defense being such a rousing success, UFC on FOX: Johnson vs. Moraga presented UFC flyweight champion Demetrious Johnson his next challenger in John Moraga. 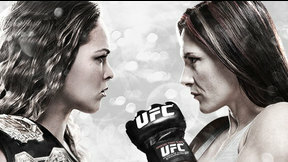 Also in action, two welterweight wars and a women’s bantamweight battle. Yaotzin Meza vs. John Albert UFC Fight Night Sat, Jul 27, 2013 (16:52) Teammate of UFC lightweight champ Benson Henderson, Yaotzin Meza flew under the radar until getting his call to the big show last December. 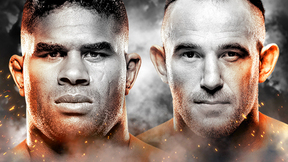 Coming off losses to Erik Perez and Scott Jorgensen, John Albert will look for a fresh start against newcomer Meza. Justin Salas vs. Aaron Riley UFC Fight Night Sat, Jul 27, 2013 (26:41) Coming of a long layover due to injury, respected veteran Aaron Riley is back in the Octagon and ready to scrap. Winner of six of his last seven, Colorado native Justin Salas can make a statement to the lightweight division if he can beat Riley. 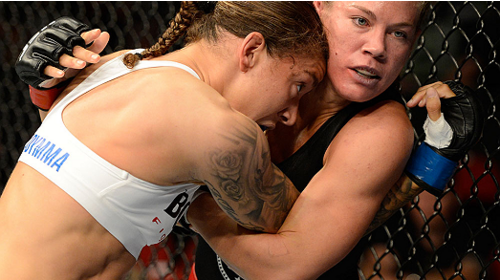 Germaine de Randamie vs. Julie Kedzie UFC Fight Night Sat, Jul 27, 2013 (27:47) Being touted as “the female Anderson Silva,” dangerous striker Germaine de Randamie makes her UFC debut against nine year MMA veteran Julie Kedzie. 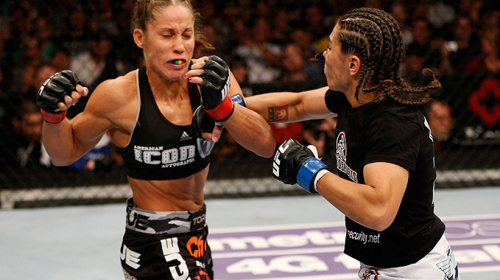 Kedzie, coming off a loss to Miesha Tate, will look to turn things around against de Randamie. Trevor Smith vs. Ed Herman UFC Fight Night Sat, Jul 27, 2013 (27:16) Winner of 10 of his 13 bouts, Trevor ‘Hot Sauce’ Smith has impressed fight game insiders with submissions of Keith Berry and TJ Cook. 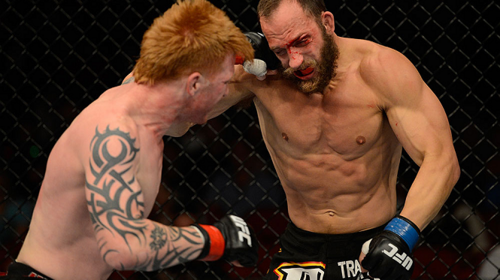 Ultimate Fighter finalist Ed Herman is enjoying a four fight win streak and will be in prime form against Smith. Daron Cruickshank vs. Yves Edwards UFC Fight Night Sat, Jul 27, 2013 (26:50) Seasoned competitor Yves Edwards meets Daron Cruickshank with plenty on the line. 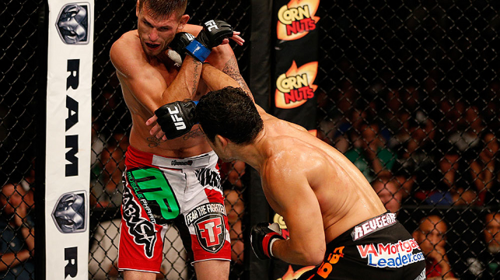 Returning to the Octagon after a decision loss to John Makdessi at UFC 158 in March, the hard-hitting Cruickshank is eager to take matters out of the judges’ hands. 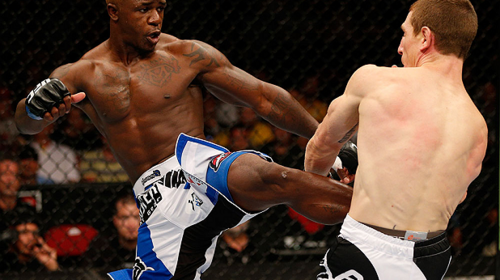 Melvin Guillard vs. Mac Danzig UFC Fight Night Sat, Jul 27, 2013 (19:51) Melvin Guillard and Mac Danzig meet in the Octagon in what should be an all-out war. 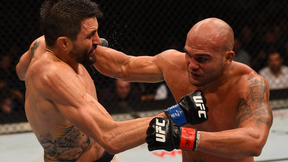 With up-and-down careers, these two Ultimate Fighter veterans will be swinging for the fences to ensure their future in the UFC’s Lightweight division. Tim Means vs. Danny Castillo UFC Fight Night Sat, Jul 27, 2013 (25:57) With 13 combined wins in their last 15 fights, lightweight prospects Danny Castillo and Tim Means are on a collision course that meets at Key Arena. With a lot to prove in the stacked 155 lb division, these newcomers will be looking to make a statement. 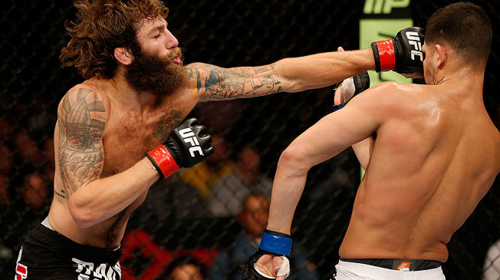 Jorge Masvidal vs. Michael Chiesa UFC Fight Night Sat, Jul 27, 2013 (17:14) Miami standout Jorge Masvidal traveled into enemy territory to face Washington’s own Michael Chiesa. 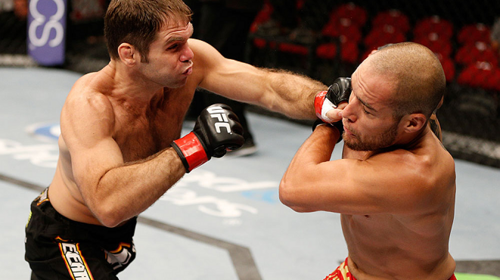 The season 15 winner of The Ultimate Fighter, Chiesa would get a stern test in the well-rounded veteran Masvidal. Liz Carmouche vs. Jessica Andrade UFC Fight Night Sat, Jul 27, 2013 (14:15) When the UFC called, Jessica Andrade answered in a big way as the 20 year old Brazilian with a 9-2 record would make her Octagon/US debut against the TKO machine and former #1 contender in both the UFC & Strikeforce - Liz “Girl-Rilla” Carmouche. 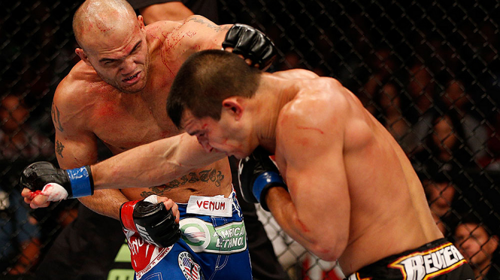 Robbie Lawler vs Bobby Voelker UFC Fight Night Sat, Jul 27, 2013 (11:56) It was very doubtful this would go to decision as “Ruthless” Robbie Lawler, with 16 of his 20 wins by KO/TKO, and coming off a Knockout of the Night, traded ill-intended fists & feet with Bobby “Vicious” Voelker, who owned 15 of his 24 wins via KO/TKO. 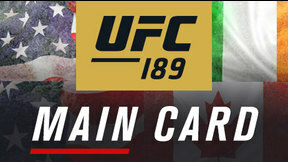 Rory MacDonald vs. Jake Ellenberger UFC Fight Night Sat, Jul 27, 2013 (21:11) On paper, this should have been the Fight of the Year. 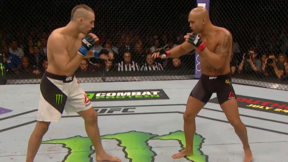 Two young forces in the welterweight division were set to collide with possible title shot implications written all over it as Rory “Ares” MacDonald took on “The Juggernaut” Jake Ellenberger. Demetrious Johnson vs. John Moraga UFC Fight Night Sat, Jul 27, 2013 (37:21) After his wild comeback win title defense, UFC flyweight champion Demetrious Johnson, with an aura only that gold belt can bestow, entered the Octagon against former NCAA D1 wrestler John Moraga, who delivered two impressive finishes in his two UFC bouts.